A Ninja show, al fresco jazz, Burmese classical music, and a poetry reading are just some Rangoon’s delights this week. This charity festival features local and international Zumba instructors. Visitors can make donations at the event, which will be donated directly to internally displaced persons in Kachin State. May 21, 5-7 p.m. People’s Park. Free Entry. 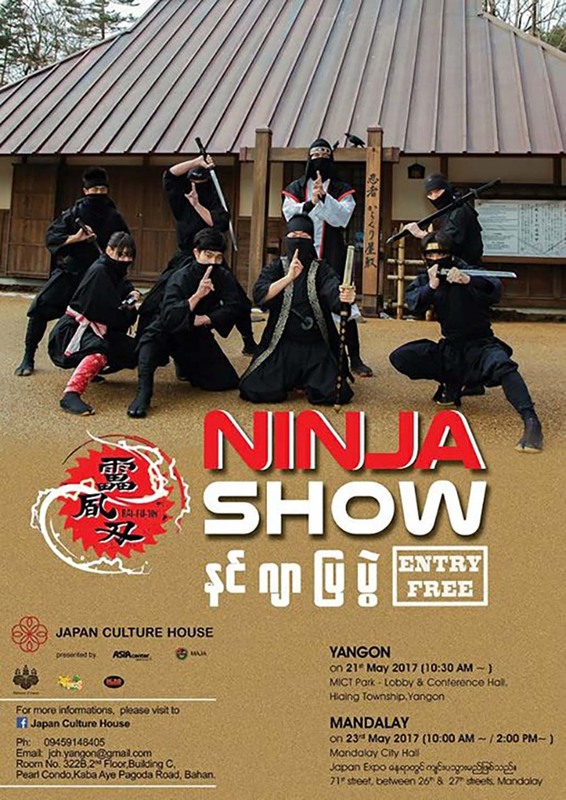 Real Ninjas from Japan will come to Rangoon for the first time to show their traditional Japanese Ninjutsu skills. Visitors can participate in a Ninja workshop. May 21, 10:30 a.m. MICT Park, Universities Hlaing Campus, Thamine College St, Hlaing Tsp. Free Entry. March 17, 7 p.m. Atlas Rooftop Bar & Lounge, No. 84 Pan Hlaing Road, Sanchaung Tsp. Free admission. Writer and poet Thitsarni has named his solo poetry event “Publicly Hiding.” Ticket includes a cup of coffee, a poetry pamphlet and lucky draw for his three paintings. May 20, 2 p.m. Yangon Book Plaza, 5th Floor, Thanzay Market, Lanmadaw Tsp. Tickets 5,000 kyats (limited seats). This event is for devoted fans of the late writer Minn Lu with special discount on his books. Some of his unpublished poems will also be recited. May 18, 4 p.m. Yangon Book Plaza, 5th Floor, Thanzay Market, Lanmadaw Tsp. More than a dozen classical singers will perform along with various Burmese traditional orchestral musicians in a ceremony to unveil the bronze statue of renowned orchestral musician Sein Bo Tint. May 19, evening. Thakya Muni Pagoda, Kyaung Kyi Street, Kyimyindaing Tsp. First-edition books, manuscripts and personal items of famous writers will be put up for auction. Proceeds will be donated to charities. May 21, 1 p.m . Yangon Book Plaza, 5th Floor, Thanzay Market, Lanmadaw Tsp. 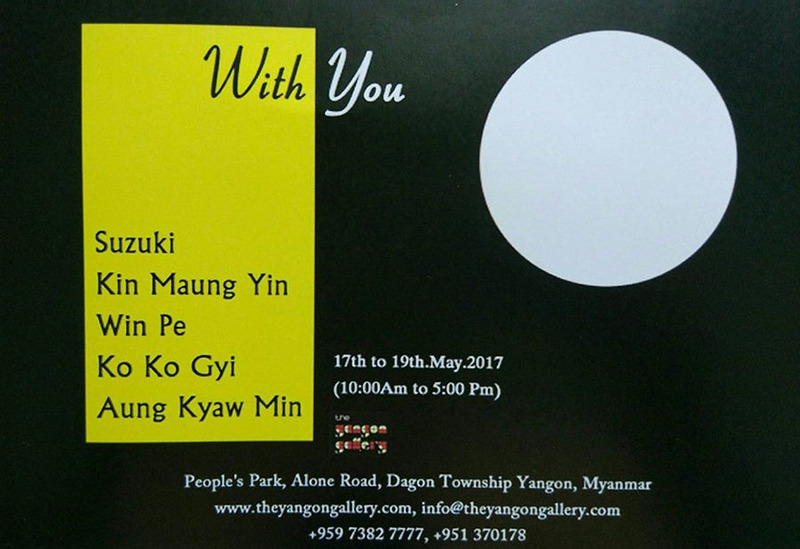 This group art exhibition of a Japanese artist and four Myanmar artists will showcase over 50 paintings. Artist Ko Thee will showcase over 10 acrylic works in his solo show. 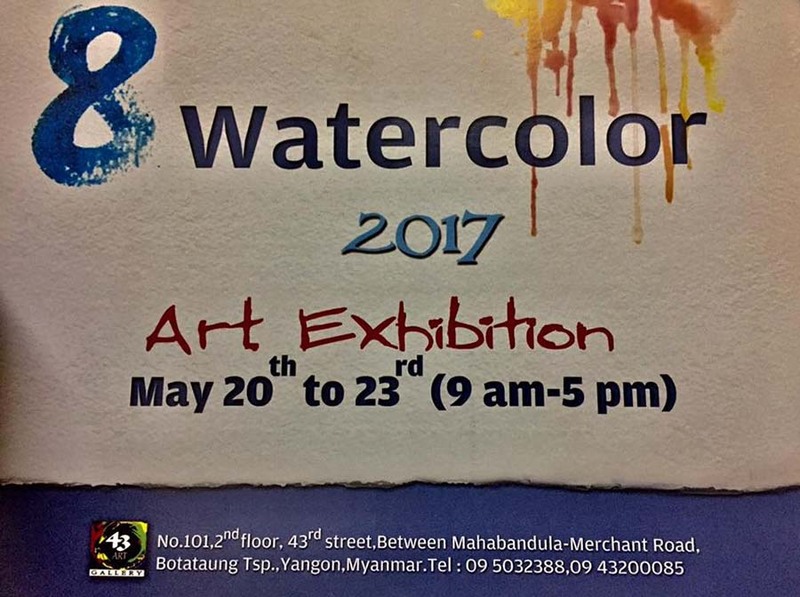 May Nawady Tharlar Art Gallery, Room 304, Building 20B, 3rd Floor, Yaw Myin Gyi Road Dagon Tsp. A group art exhibition of eight artists will feature 40 watercolor paintings. May 20-23. 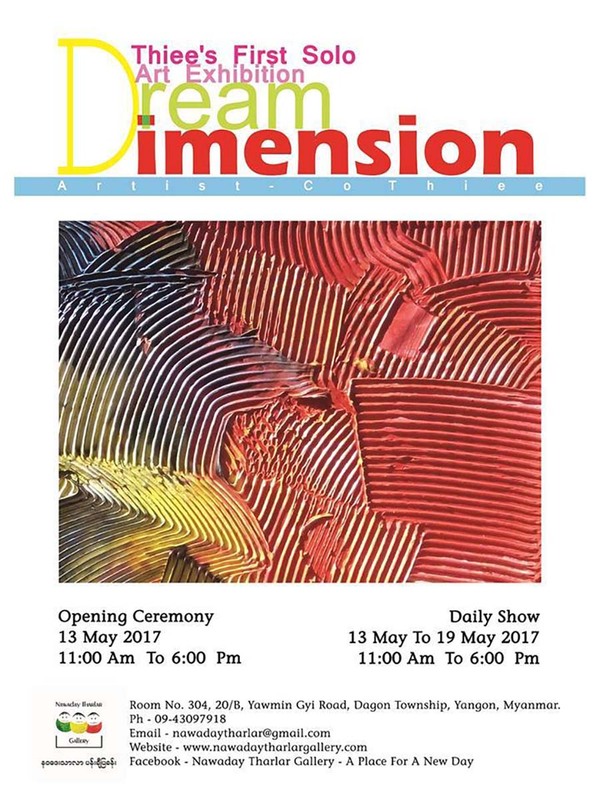 43 Art Gallery, 43rd Street, Botahtaung Tsp.